Hoover Dam has been showing its age lately, and the problem can’t be fixed with fresh concrete or new equipment. 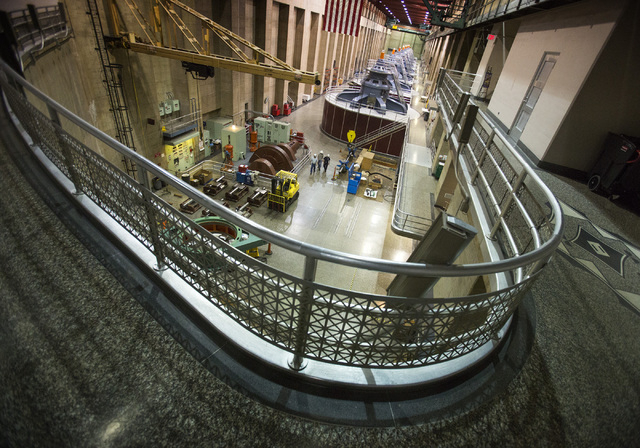 About two-fifths of the workforce at the federal facility will be eligible to retire within five years, leaving the Bureau of Reclamation scrambling to recruit and train skilled workers while keeping one of the nation’s most important water and power facilities operational. Interior Secretary Sally Jewell highlighted the problem in a December speech to Colorado River water users meeting in Las Vegas. Jewell said she noticed something unusual during a tour of Hoover Dam a few months earlier: The control center for Hoover, Parker and Davis dams was being operated by two men, the youngest of whom was her age. “I’d like to say that was a good thing, but it really isn’t very good,” the 58-year-old Cabinet secretary said. “The older one had retired and was brought back as what we call a returning annuitant. Lives in Alabama. Flies back once a week to take his turn running Hoover Dam. Fulp said the problem is “reclamationwide,” and bureau officials saw it coming as far back as 2000. 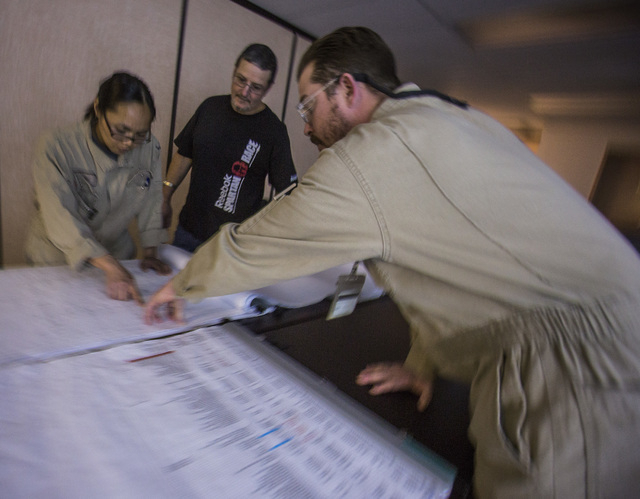 That’s when they launched a four-year apprentice program at Hoover Dam and elsewhere to head off personnel shortages in key jobs such as power plant operator, power system electrician and hydroelectric engineer. Fulp said four people graduated from the program last year and six more are enrolled this year, but it isn’t enough. “We probably need to double that,” he said. As of December, 140 of about 800 employees were eligible to retire from the bureau’s Lower Colorado Region, which runs from downstream of Lake Powell to the U.S.-Mexico border. Hoover Dam’s share of that number was 40 retirement-eligible workers out of a workforce of about 250, Fulp said. But the real problem isn’t retirement; it’s retention. Fulp said workers used to stay with the same employer for their entire careers, but those days appear to be over. Changes to the retirement system have made it easier for employees to jump from job to job, and private-sector competition makes it difficult for the Bureau of Reclamation and other federal agencies to keep people. Fulp said Hoover Dam recently lost a promising young engineer to a much better-paying job outside government. And changing that is no easy task. Although Hoover Dam operations are funded by the sale of power generated by the facility, employees are subject to salary ranges and job descriptions set by federal regulations. Some new skilled employees are recruited directly from two-year technical schools, but one of the bureau’s best sources of trained workers is the military, Fulp said. Locally, the agency has established a “pipeline” to the University of Nevada, Las Vegas that has provided six employees for the agency’s river operations office in Boulder City. A 25-year bureau employee, Fulp is part of the old guard. Now 60, he is among those able to retire in the next five years, although he plans to keep working beyond his eligibility date. “I’m feeling about 50 most days,” the regional director said with a laugh. Hoover still benefits from being Hoover. The chance to work at arguably the nation’s most iconic dam is definitely a draw for a certain kind of worker, Fulp said. “We still have people, including me, who when we walk in we’re amazed by it every time,” he said. 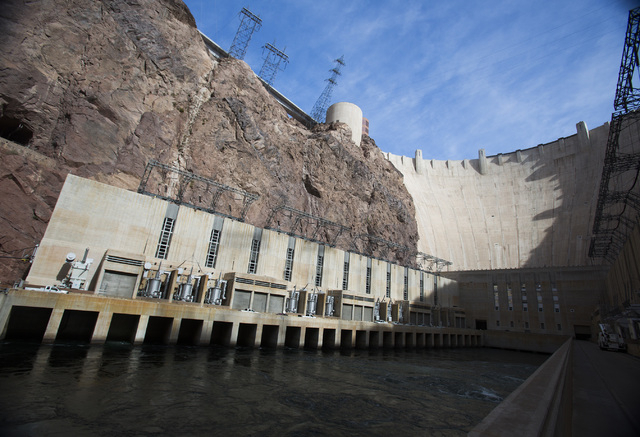 Rob Skordas, area manager for the bureau’s Lower Colorado dams office, said Hoover’s proximity to a major city also helps to attract job candidates. He went through the bureau’s apprenticeship program at Grand Coulee Dam, which is a larger facility than Hoover but can be a tougher sell to employees because of its location in a remote corner of Washington state, 100 miles from the nearest metropolitan area. “If you’re a guy who likes to hunt and fish, you might like it just fine. But if you have a wife who wants to go shopping, it can be less appealing,” he said. It was a combination of convenience and prestige that drew the control center worker Jewell spoke about, the one who flies in from Alabama. Reclamation spokeswoman Rose Davis said the man didn’t want his name used, but she said he told her he gets a kick out of working at one of the most famous structures in the world. The man retired from the Tennessee Valley Authority in 2000 after 33 years, then promptly returned to work there as a contractor. Five years later, he moved to the bureau’s Grand Coulee Dam. Six years ago, he landed at Hoover Dam, where the weather is better than in Washington state and an airport is more conveniently located. Davis said the man works three or four 12-hour shifts a week in the dam’s tightly secured control center, and flies home to Alabama on his own dime a few times a month. Fulp said that level of dedication is not unusual at Hoover Dam. But as rewarding as that work can be, it’s simply not enough anymore to keep employees from looking for better opportunities someplace else. Contact reporter Henry Brean at hbrean@reviewjournal.com or 702-383-0350. Follow him on Twitter at @RefriedBrean.